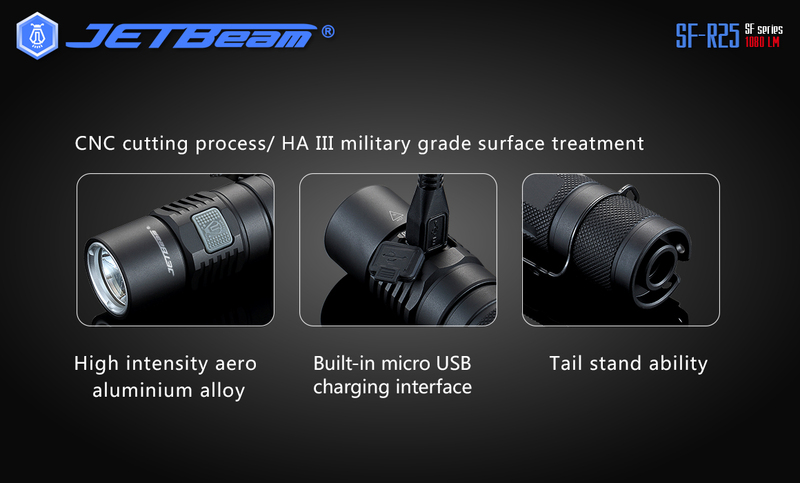 SF-R25_Products Center-JETBeam Electronic Technology Co.Ltd. 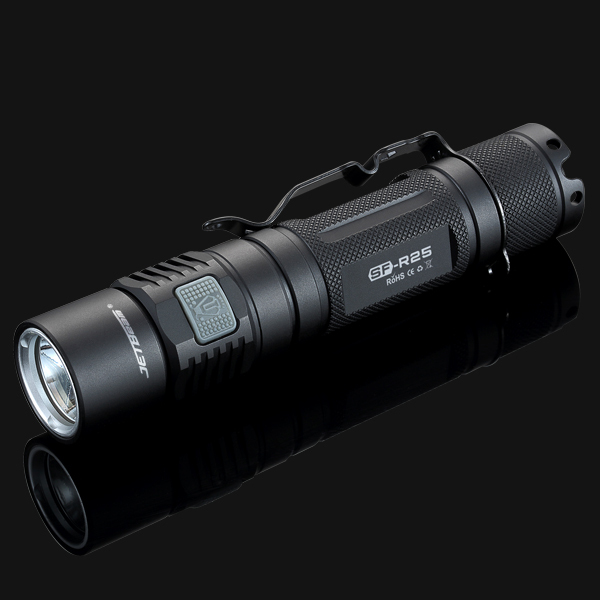 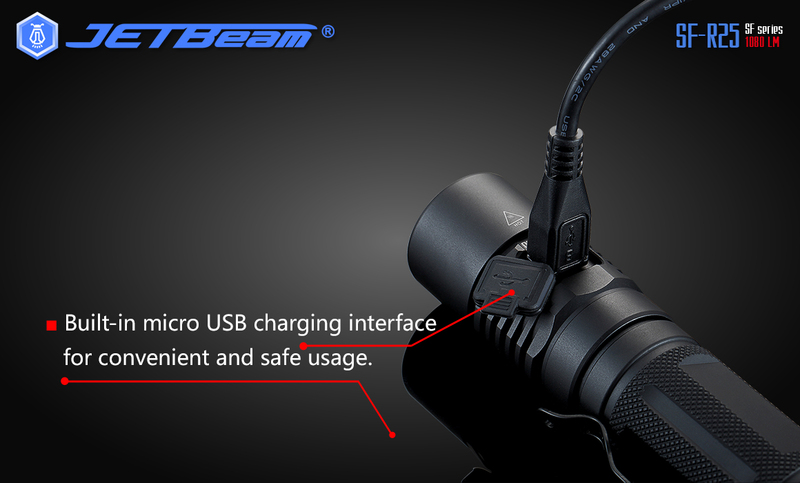 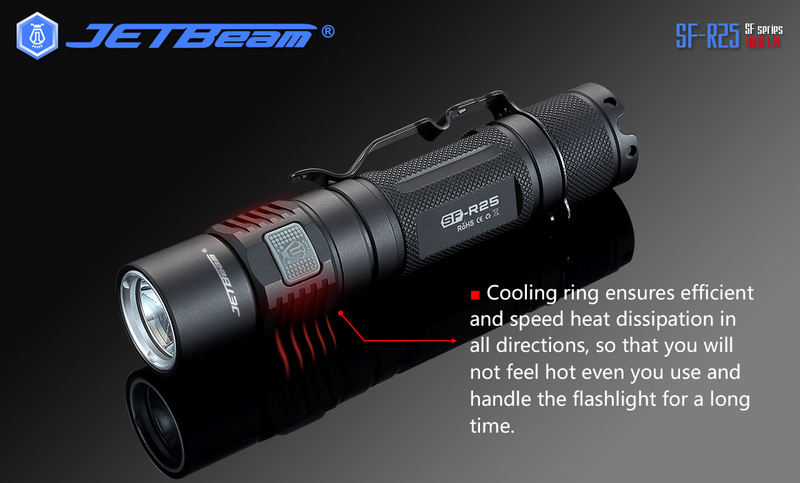 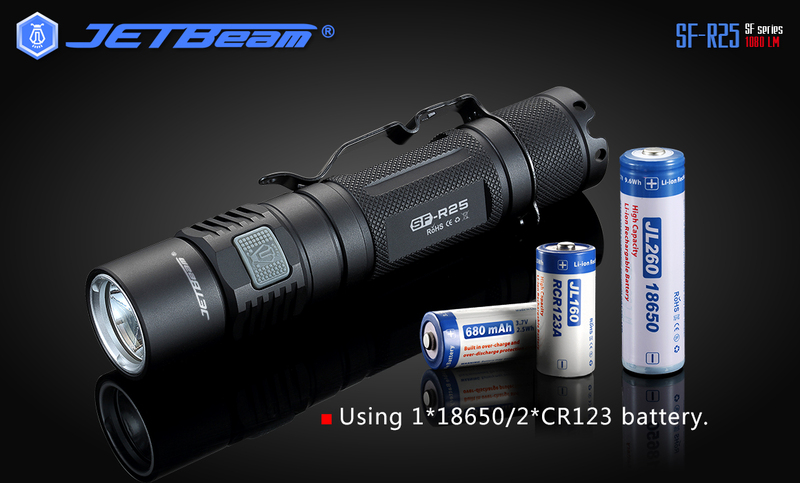 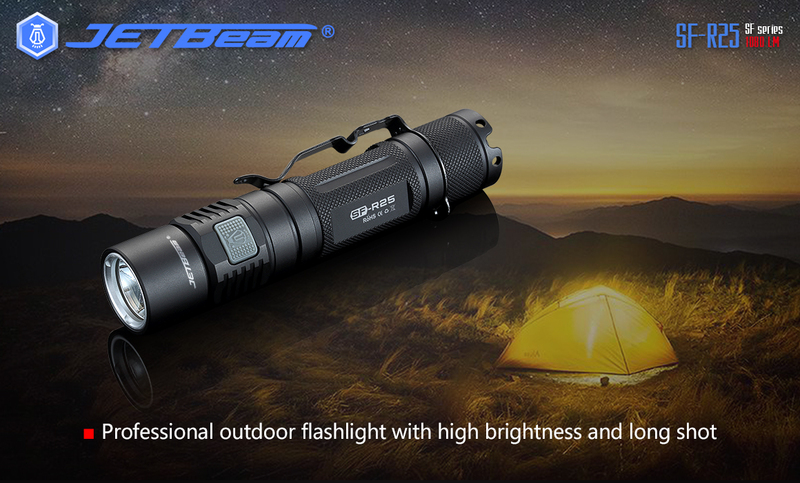 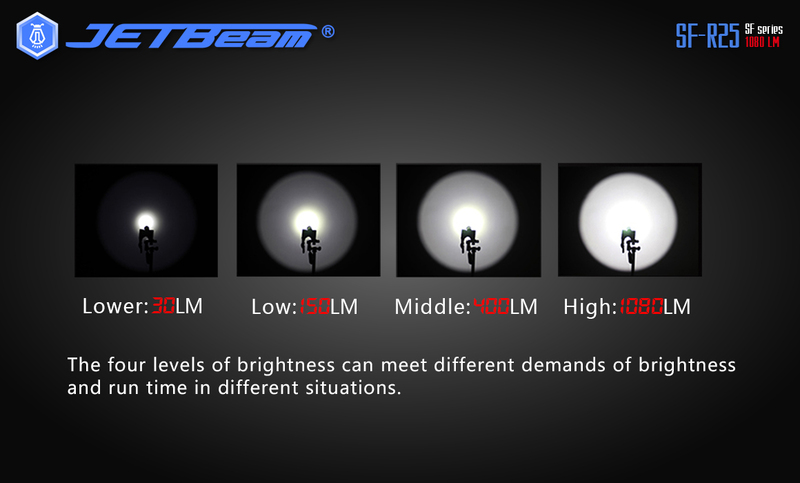 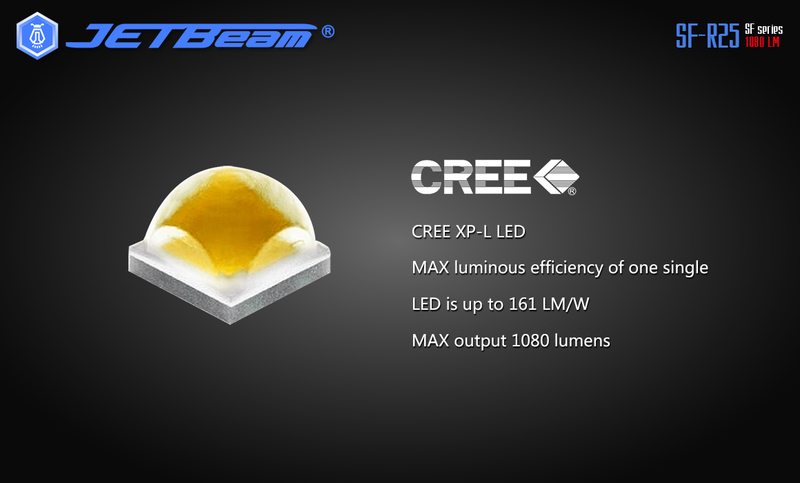 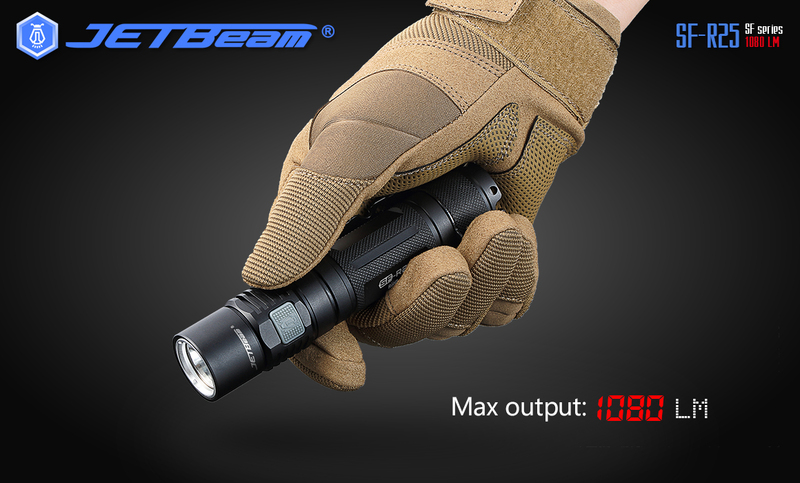 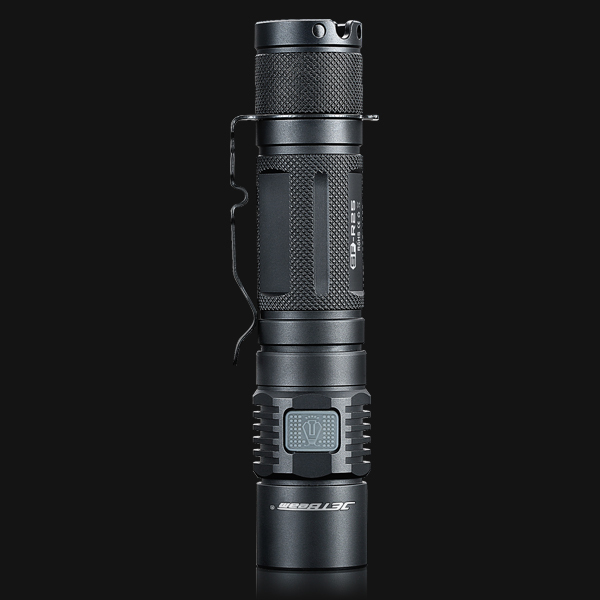 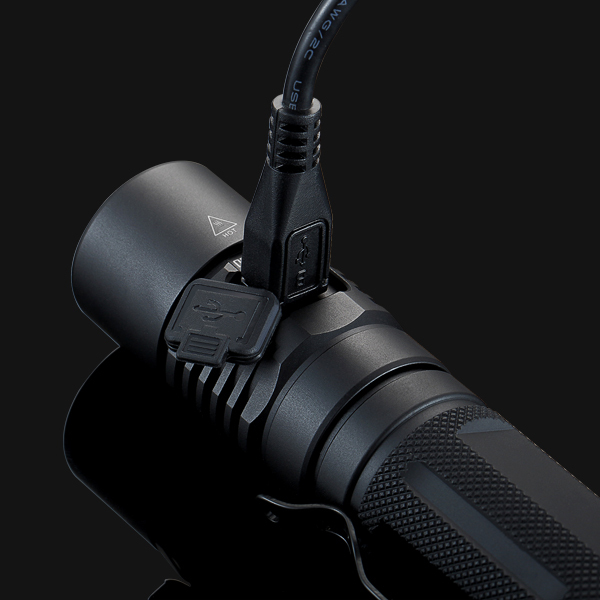 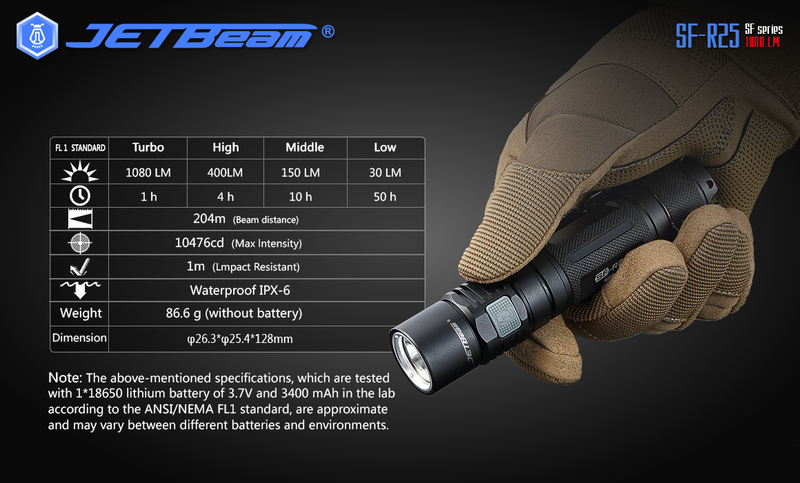 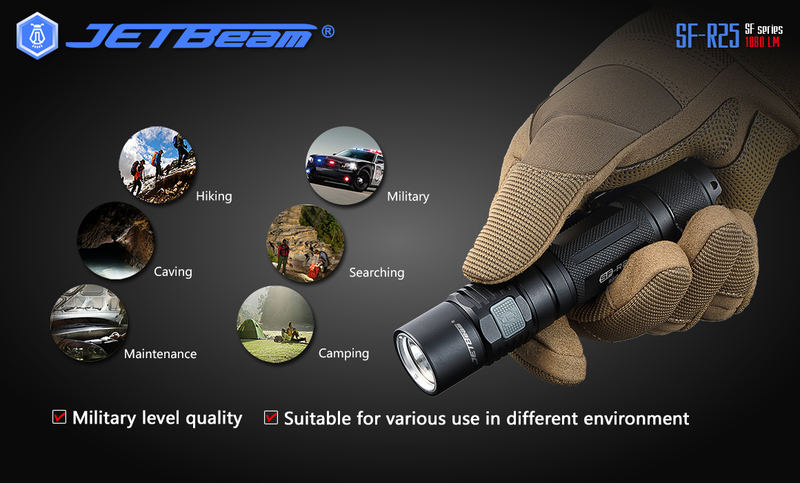 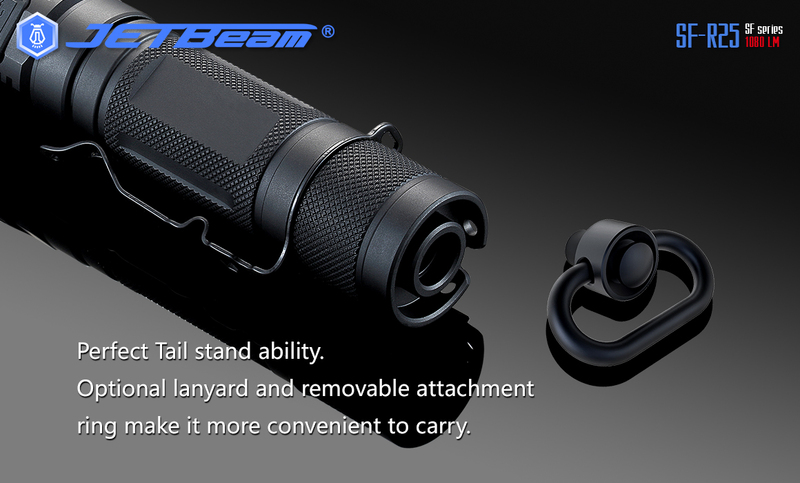 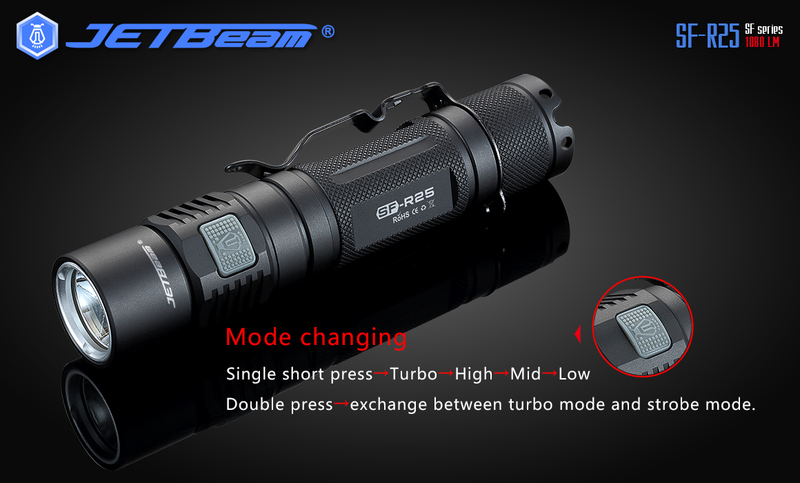 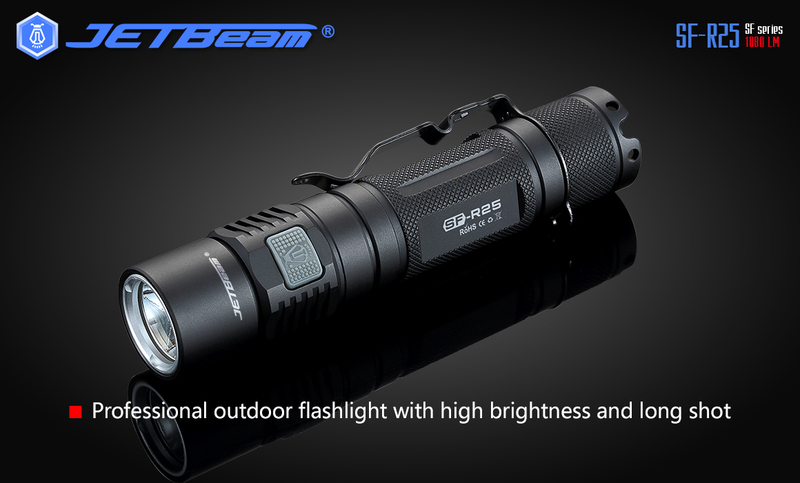 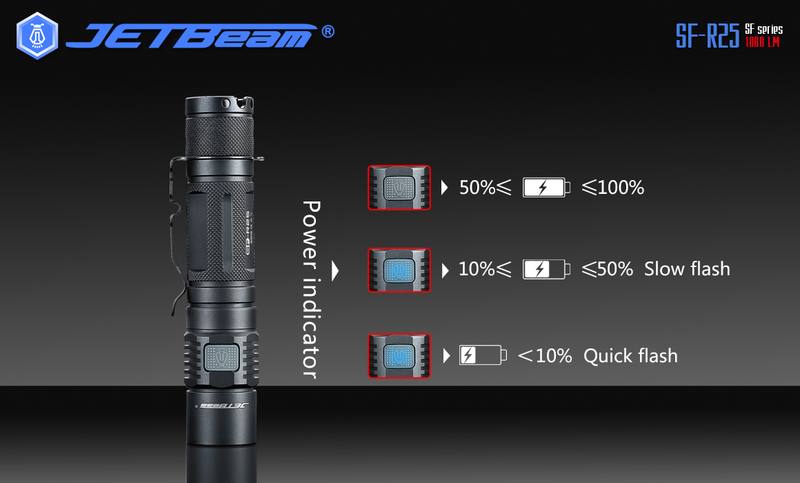 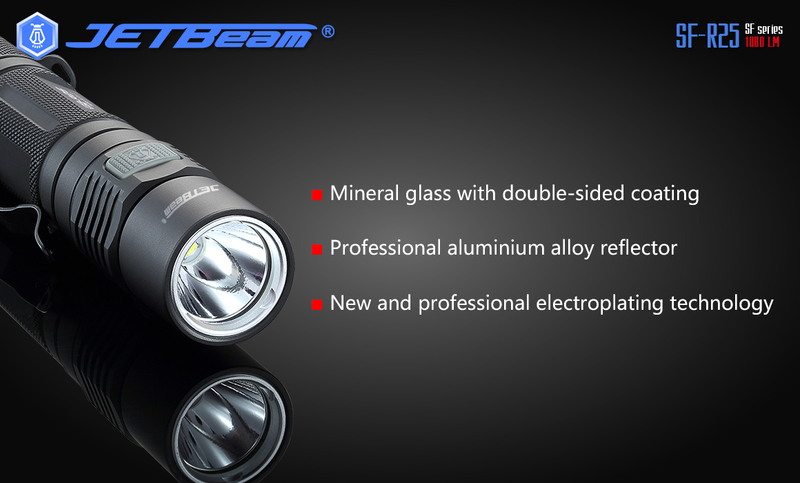 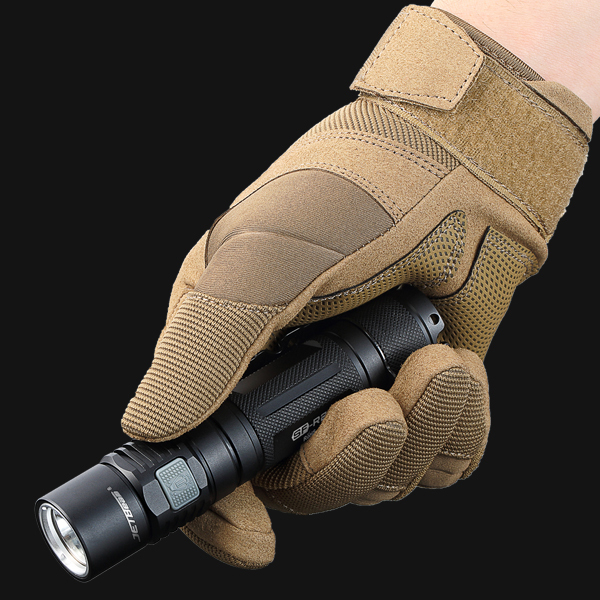 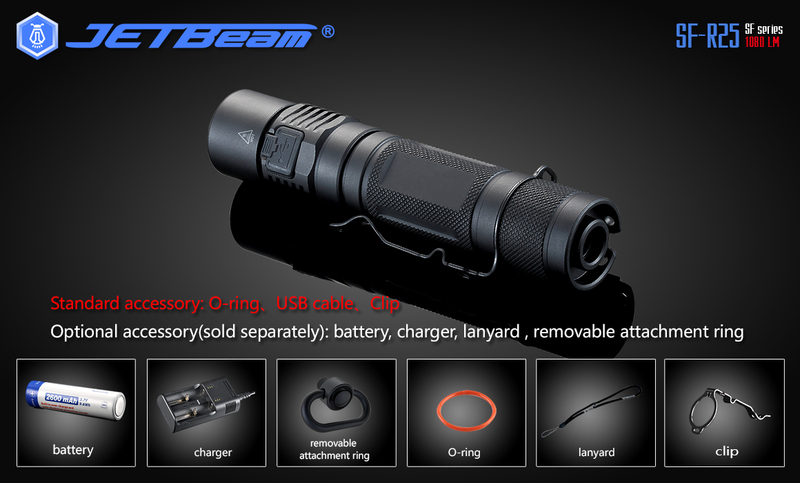 -Uses CREE XP-L LED with max output 1080 Lumens. 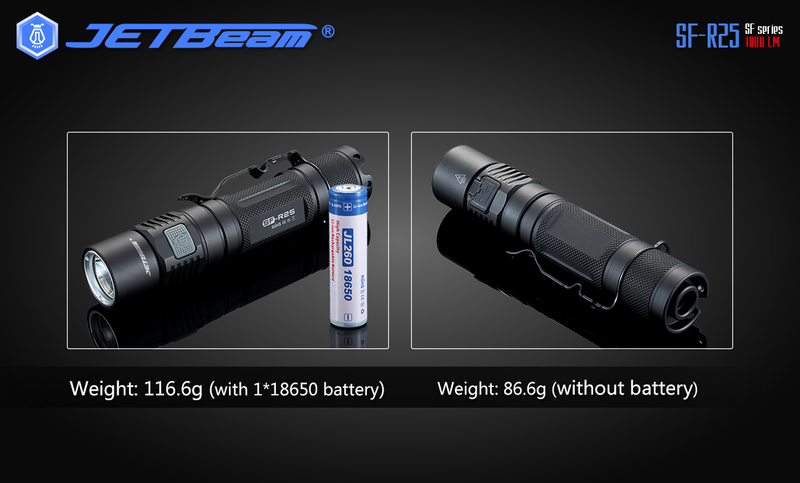 -Combining advanced crystal transparent technology and digitally regulated system, it has beam distance up to 204 meters. 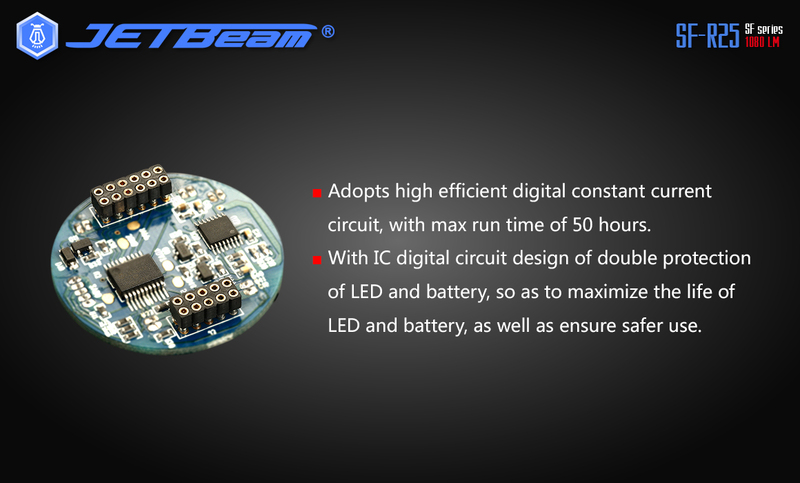 -Adopting high-efficiency digital constant current circuit, it has run time up to 50 hours.